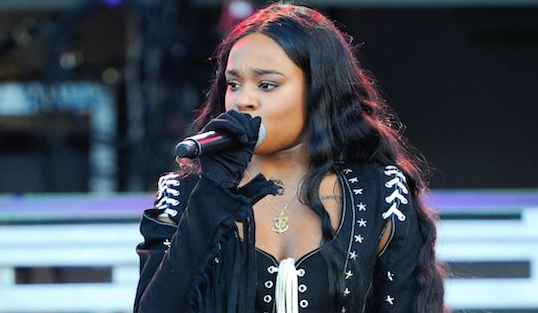 Azealia Banks aspired to shine in the musical world since her early breadth. Her aspiration of becoming a singer landed her to LaGuardia High School of Performing Arts. She was born on 31 May 1991. Her full name is Azealia Amanda Banks. She was born in New York, City of U.S. Banks had a very painful childhood as her mother turned bitter after the death of her father. Banks was raised by a single mother along with her older sisters. Banks father died shortly after her birth due to pancreatic cancer. Due to the rising violence of her mother, she was forced to leave her home at fourteen and moved in with her sister. After that, she began her career in singing. Azealia Banks came in fame by topping 2011 NME’s Cool List and finishing 3rd in the Sound of 2012. Her debut mixtape earned critical acclaim. Banks passion and hard work has been honored with numerous accolades and awards. Some of the awards earned by this profound rapper/singer include “Philip Hall Radar Award”, “New Style Icon” and “Urban Music Awards”. Azealia Banks began honing her career at a very early age. Her hunger for the spotlight was so great that by age ten she was already performing with TADA! Young Theater. In “Rabbit Sense”, “Heroes” and “Sleepover”, she was seen in the lead roles. While performing in “City of Angles”, she was discovered by an agent. Before calling it quit, Azealia gave auditions for multiple roles. Shifting focus from acting to singing, she began writing R&B songs and rap. She prefered to chase her dream rather than completing her high school. She launched her first recording “Gimme a Chance” under the name “Miss Bank$ onto the YouTube in November 2008. Her self-produced single “Seventeen” attracted the interest of XL Records. Following that year, she signed a contract with XL Recordings and appeared in Mahor Lazer’s “Can’t Stop Now”. Due to idea conflict, she left the label. After departing from the label, she left her moniker “Miss Bank$”. 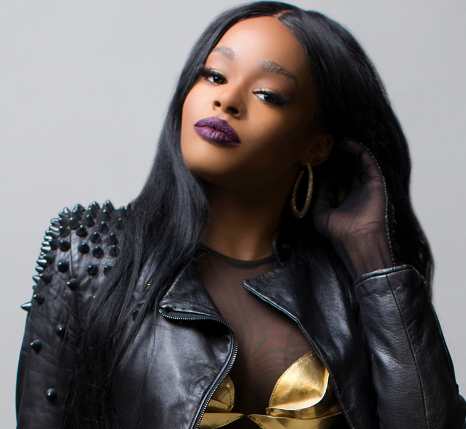 Azealia Banks relocated to Montreal where she recorded two singles “Slow Hands” and “L8R”. She made the song viral via YouTube. Howeve,r it was her next single “212” which gave her recognition among music lovers. Sexually charged, bass-heavy trackcreatese sensation among her listeners as well as made its way to European chart, Netherlands Chart and UK chart. Following the overnight success "212”, she began working on her debut studio album along with producer Paul Epworth. In 16 January, 2012, she released the single “NEEDSUMLUV (SXLND)” viathe internet. Her next rack “Bambi” was chosen as a soundtrack for a fashion show in Paris “Mugler”. Releasing Fantasea mixtape and 1991 EP, Banks’ debut album titled “Broke with Expensive Taste” was postponed for 3 years, being launched in November 2014. Howeve,r on 31 December, 2012, her promotional track “BBD” which is set to appear on her debut album was released. In august 2013, she announced that sequel of her first mixtape Fantases, called “Fantasea II: The Second Wave” would soon hit the market. In July 2014, her new track “Heavy Metal and Reflective” on her own recording label “Azealia Banks Records”. On 22 September, her next single “Chasing Time” released. She launched her debut album on 6 November. In 2012, she went on a tour “Fantasea Tour” and as of 2014, she organized: Broke With Expensive Taste”. In 2016, she took to Twitter to express her endorsement of Donald Trump's 2016 presidential campaign, clarifying that she had no hope for America. On January 31, 2018, she announced that she had signed a $1 million record deal with Entertainment One and released "Movin On Up" on March 9. "Fantasea II: The Second Wave was released on April 6, 2018 and the official music video for the single was released on May 24, 2018. Banks revealed that she is a bisexual. Since she has revealed the fact, her personal life is gaining lots of attention from her fans as well as Medias. However no acute information about her love relationships is made public yet. This great star singer has gained many followers. She is satisfied with her earning. An American singer, actress, songwriter and rapper has collected the net worth of three million dollars. Her salary is still to get unfolded. She has a huge fan following in the social media. Her fans can follow her in her social networking sites, such as Facebook, Instagram and twitter. More information of this star can be pulled out via several internet sites and her official website as well. Her biography is also available in wiki.